Donut lovers, rejoice. National Donut Day is Friday, June 1. MILE HIGH ON THE CHEAP — This article was first published by MileHighontheCheap.com. Celebrate one of the “holiest” days of the year on Friday, June 1 with a sweet freebie. That’s when donut lovers rejoice because it’s National Donut Day. To honor the day, stop at one of the following shops for a delicious treat. No “dough” necessary at three places. Limit one per person at participating locations, while supplies last. Enjoy a free Classic Donut with the purchase of any beverage. The chain has more than a dozen locations in Colorado. Get a free OC Sand Doughnut — no purchase necessary. 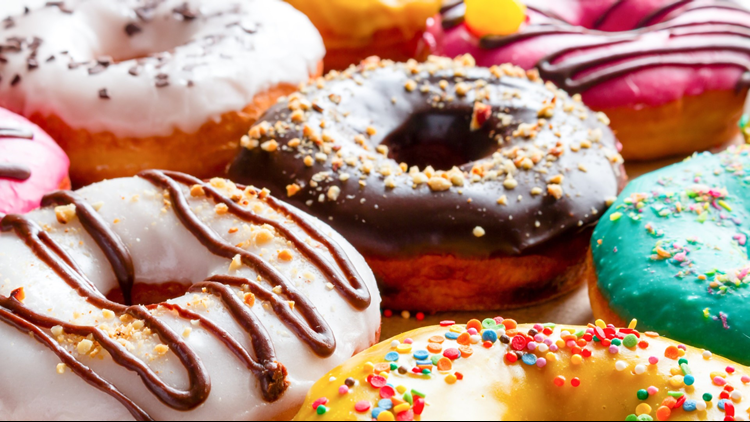 Aurora's Glazed and Confused (2501 Dallas St.) does not have a donut deal, but says to arrive early for National Donut Day as they will sell out of donuts Friday. There will be free cold brew and Soham Kombucha will be selling and sampling their kombucha. Bite into a free donut of your choice — no purchase necessary. Get a free donut (any variety with a hole in it) -- no purchase necessary. The Denver-based chain has nine locations in Colorado. Print or show this coupon. Get a free glazed donut from 7 a.m. to 9 a.m. The grocery store has multiple locations throughout the state. Get a free glazed donut — give away should be near bakery department. The giant chain expects to hand out 1.2 million donuts on the sweet day. For more local deals and discounts go to MileHighontheCheap.com.